The V-smart operators chair has been developed by focusing the best in design, technology and materials to produce a radical new concept in seating. 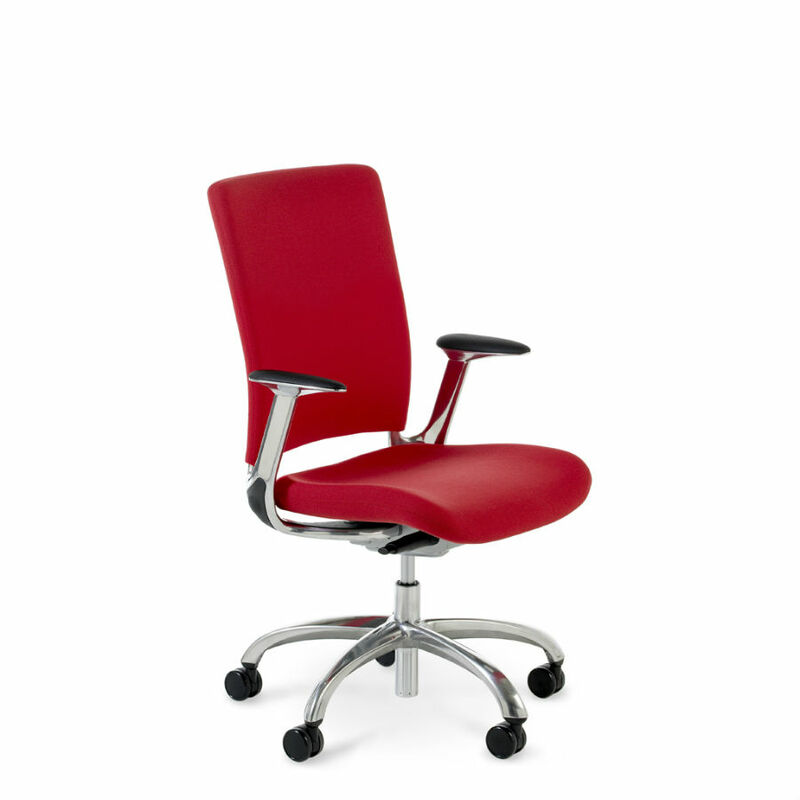 The patented smart mechanism inspires movement while at the same time providing active support and comfort in every seated position. V-smart chairs respond and interact with the person sitting in them, and they do that automatically, without the need to manually adjust a number of knobs and levers. V-smart seating automatically senses the weight of each user as they sit on the chair and instinctively provides the correct tension to work in harmony with each individual. It then establishes the height and depth of lumbar support required and ensures the flexible back fits naturally into the curve of the spine. V-smart conforms to all relevant UK and European performance standards, and actively fosters and encourages a dynamic posture and is therefore ideal for collaborative and multi-user workspaces.